health | The Brain-Based Boss. 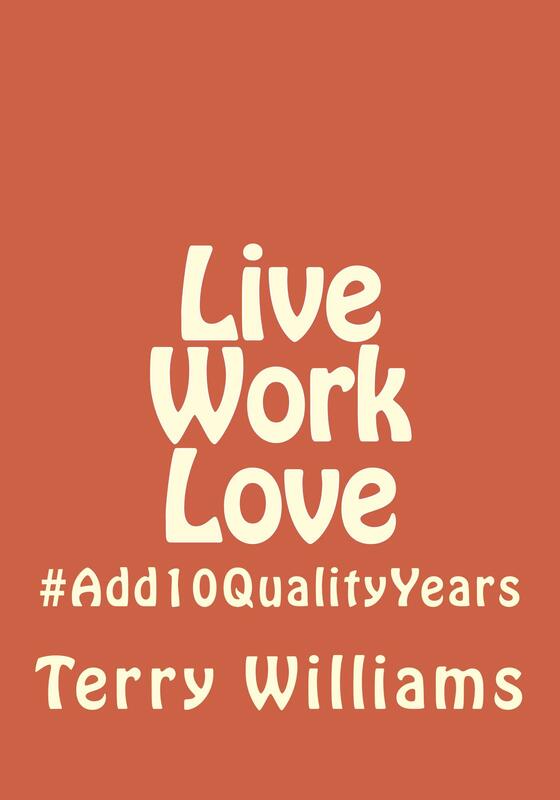 One of my earlier books ‘Live Work Love: #Add10QualityYears’ was about adding ten years to your productive life. Expanding lifespans in developed countries are tarnished by the physical diseases and decay of affluence. Retirement for many is becoming a shifting goalpost, a political football or an unwelcome concept from last century. Now seems a great time to write about the topic of stretching out the good and productive years. We’re living longer so we may as well live better and make a few more bucks along the way. Or not – on the bucks front anyways. I’m already reading much about how money, above a certain level, doesn’t make that much difference in terms of quality of life. Though below that level, it will diminish the quantity of life you end up with. A consistent theme throughout the book is overlapping and inter-connectedness – a systems approach. Certainly, when you get to the sections on our bodies and how our physical systems work (or don’t), this becomes incredibly evident. This next bit might be more of a laugh than anything factually helpful but it is a conversation starter. I use it when MCing conferences to get a buzz going and the noise and enthusiasm levels up amongst the audience. John Manning studied the relationship between our finger lengths and certain health outcomes. 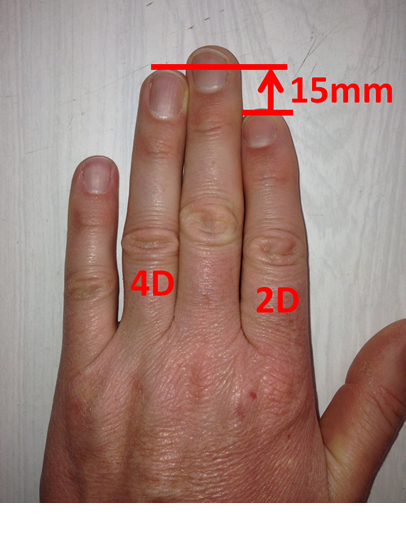 Look at the photo below of my hand and how I’ve marked the difference in length between my ring finger (4D) and my index finger (2D.) Check out your own 4D:2D ratio. They’ve been the same your whole life and they’re not going to change. It’s supposed that their relative lengths are a consequence of exposure to differing levels of testosterone in the womb as a foetus. The point is that, even if this is true, there is nothing you can do about it. These are cards that have been dealt. But, on average, our genetics are only a third of our future. Two thirds are our choices, and we can all do something about that. I used to work in local Government. When I started, there was a ‘Rubbish’ department. It became ‘Refuse and Recycling.’ Last I heard, it had become ‘Waste Minimisation.’ These aren’t just superficial labels, they represent a shift in thinking. A similar shift has occurred when it comes to wellness at work. It’s gone from ambulances at the bottom of cliffs (sometimes literally) to prevention and a broadening of scope from the merely physical and work-related. I’ve worked with organisations that offer subsidised gym memberships, 10,000 Step programmes and reward-point-scoring health insurance schemes. In-house Occupational Therapists teach posture and micro-pausing to the masses, ergonomic furniture is installed while Sven the masseuse takes your shoulder massage booking. I actually saw one company intranet’s homepage announcing the boss was paying for a diet specialist to come in and speak, although this was right next to an advert for the social club’s fish ‘n’ chip evening. I love those situations, like my local supermarket which had a sale bin of toothpaste right next to a sale bin of chocolate bars – 5-for-$4! An aisle of value but also an aisle of irony. My point here is that even if you’re not an employer that doles out massages and gym memberships, your workplace has a tremendous capacity to affect your people’s physical and mental health one way or the other. That some employers make efforts to bolster worker wellness isn’t altruistic. They reap the benefits of attendance, attitude, engagement, productivity and more. A study published in the U.S. Journal of Occupational and Environmental Medicine found that for every dollar a worker’s illness cost, the average impact on their employer’s productivity was $2.30. So, for example, preventing staff illnesses causing $10,000 of medical costs could enhance your bottom line by $23,000. I need to get a pet and at least one more friend at ‘organ-donor’ level. Otherwise, I’m pretty sweet. You might be pleasantly surprised at their alcohol and exercise advice. Having a reason to live is important and, for some, work can provide that. Friendship is generally good for your health but there are different levels of friend. I think we all know that. We might not have it written down but we have a ‘friend matrix’ somewhere. When you’re a kid, you need a friend with an X-Box. When you leave home, you need a friend with a van to help you move. When you’re my age, you need a friend with a spare (functional) kidney. In 2007, Gallup research found that “having a best friend at work” increased the likelihood of someone being engaged at work by 700%. Sarah Burgard from the University of Michigan has shown that job insecurity (fear) causes more illness than actually losing a job. Disconnected employees are more likely to get sick and more likely to miss work. A study by the Confederation of British Industry estimated that fifteen percent of illness days taken were not due to actual illnesses. There is a lot of time on screen of exercise, dieting and dramatic weigh-ins which probably makes for good TV but is unlikely to lead to ongoing long-term wellness-supportive lifestyle changes. What does help are social proof, goals, regular non-judgemental behaviour-based feedback and a sense of purpose. Not surprisingly (hopefully), these things are also powerful drivers of workplace behaviours that support not only wellness but productivity and profitability. An obese person sat next to me on the plane recently. Despite he and I both paying for one seat, he was taking up a good third of my space. I couldn’t believe this was happening to me IN NEW ZEALAND. Do Engaged Employees Need To Be Plugged In? To be honest, I’d probably be OK if a bell went ‘ding’ if my posture went off target. It’s in my own interest and the firm’s that I maintain a healthy posture. I’ll be healthier and happier and look taller and more confident. Plus for the boss, there’s probably a long term link to health, wellbeing and productivity or at least less absenteeism if my posture is good. Customers might think I have a better attitude. If there’s a GPS component like sports teams use to see which player covers the most ground and that they’re where they’re supposed to be, that’s probably an integrity tool that some bosses might find themselves needing if the whole ‘trusting people’ thing hasn’t been panning out but it isn’t for everyone all the time. Wristbands that measure and encourage you to take 10000 steps a day have been around for ages and no one is up in arms about those. These new gadgets porport to measure brain activity. I am curious as to what my optimum brain activity is in any given work day or if it there is any when I’m watching TV but I’m not sure I want big brother buzzing me every time I glaze over a bit. That said, if I’m a truck driver maybe that’s a really good idea for safety?